Kilimanjaro national park, a view from the Kenyan side of the border in Amboseli national park . Kilimanjaro national park, Google earth image of view from the north, from left Mawenzi, Kibo and Shira. 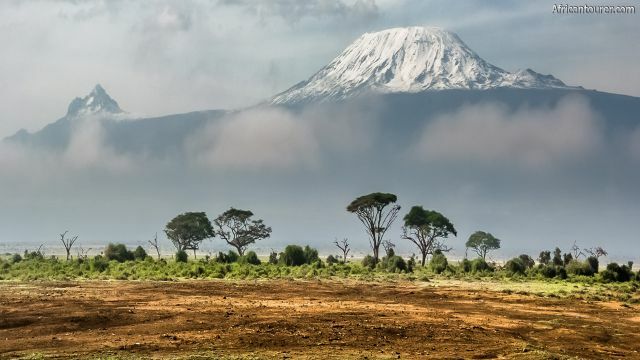 Mount Kilimanjaro national park is where Africa's tallest, mt. Kilimanjaro lies with the mountain making up most of the park. It is located in a northern region of Tanzania that also shares its name - Kilimanjaro. The area belonging to the parks is defined as any area next to and on the mountain that is above 1820 metres , including the montane forest that surrounds it, an area that has sometimes been plagued with deforestation. Next up on the height list is Mawenzi, also a dormant volcano with it's highest point being the Hans Meyer peak being at an altitude of 5149 m.a.m.s.l. In the picture 3 above, Mawenzi can be seen as the smaller and more pointy peak on the left. 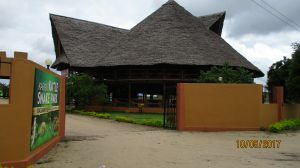 Mawenzi is is located in close proximity to Kibo, giving the collective structure of the two mountains and space between it a saddle like shape with Mawenzi on one side and Kibo on the other. Shira on the other hand is an extinct volcano and is the smallest of the three peaks. Climbers on routes such as Machame, Lemosho and Shira go through it as part of their journey. In picture 3 above, Shira is towards the right of Kibo (further than Mawenzi), a barely seen protrusion compared to the other two. Of the three, only Mawenzi and Kibo receive a cover of Snow on rainy or snowy days. Climbs to the top of Mawenzi are forbidden by park authorities except for those with special permits as well as extreme climbing experience and training. Climbing mount KilimanjaroAs of 2016, there are about eight climbing routes that are allowed by the park authorities TANAPA, namely the Marangu, Machame, Rongai, Northern circuit, Shira, Lemosho, Western breach and Umbwe. There also are tailor made routes available, provided they include a combination of one or more parts of the 7 routes; However, it is illegal to use any route not allowed by the park authorities, or enter the park without a registered guide and the consent of the park authorities. Most climbing is done on foot, as there are no cable cars or machines of any kind to assist in ascending the mountain; However, with the exception of the Western breach route, no special skills are required to climb the mountain as most of the paths have a gentle incline and are a well prepared by park authorities to have minimal dangers. 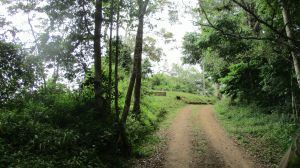 Nevertheless, a certain level of fitness would be required to survive the daily 8 to 13 km walks, most of which are uphill. As a rule of thumb, training by running at least 5km a day would go a long way to making your ascent easier. 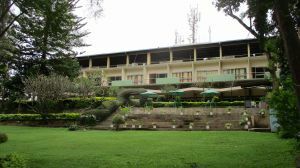 Accommodation on mount KilimanjaroFor climbers, the park authorities - TANAPA provides specially prepared campsites at which climbers can rest or sleep in. In some of these camps, there are wooden cabins or houses with dormitory styled rooms built, with each room having six to eight bunk beds. Each climber that is recognised by the park authorities is given a bunk bed provided they have paid and booked for them in advance. 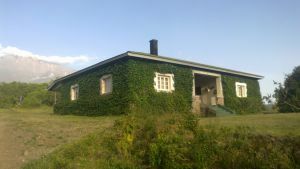 In most cases, the authorities would make sure that climbers don't have to share a room unless when the camp is near maximum capacity; However, only the Marangu route has these cabins at each camp site and thus is the only one where a climber does not need to have a tent, where as in the remaining campsites, tents are compulsory. Majority of toilets on the mountain are pit latrines, usually clean but that does not change the fact that they are pit latrines. A few camps such as the Mandara and Horombo have W.C's but there is talk of a possible upgrade of the other campsites toilets. It is important to note that park authorities forbid camping or sleeping at any point other than those specially prepared for that purpose. Marangu routeNicknamed the coca-cola route, the Marangu routeis known for being the easiest route of them all. This is mainly because all paths have a gentle incline and the presence of cabins for accommodation at every stop or campsite. However the gentle inclines means that most of the treks are longer. A minimum trek from one stop to another more is about 11km. The route starts from the Marangu gate, going through Mandara huts, Horombo huts, kibo huts, Gilman's point, Stella pointbefore reaching the summit - Uhuru peak. The descent uses the same path as the ascent. Machame routeUnlike the Marangu route, the Machame route offers no cabins for accommodation, requiring most climbers that use this route to sleep in tents, something that gave rise to the many campsites along the way as different climbers in the past chose to rest at different points. The Machame route starts from the Machame gate, going through Machame hut, Shira 2 campsite, Lava tower campsite, Barranco campsite, Karanga hut, Barafu hut, and finally reaching Uhuru peak(summit) through Stella point. From there, the descent goes back down the slopes of Kibo through Barafu hut, Millenium campsite, Mweka hutand finally ending at Mweka gate. Umbwe routeJust like the Machame route, the Umbwe route offers no cabins for accommodation, and is also the shortest and steepest route of them all. It starts from the Umbwe gate, going through Umbwe cave campsite, Barranco campsite, Karanga hut, Barafu hutand finally reaching the summit Uhuru peakthrough Stella point. From there the route's descent uses the same path used to get tot he summit up to Barafu hut, then continues on to Millenium campsite, Mweka hutand finally ending at Mweka gate. Lemosho routeThe Lemosho route is also a tents only route and one of the more scenic routes of the mountain. 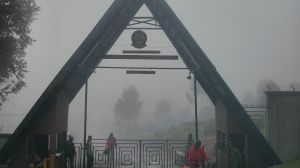 It starts from the Londorosi gate, where climbers register with park authorities, before being taken to the trail start - Lemosho gate(a short distance away) by car. From there onward the route goes through Mti mkubwa, Shira 1, Shira 2, lava tower, Baranco, Karanga hutand Barafu hutcampsites before finally reaching Uhuru peakthrough Stella point. From the summit, the descent goes through Barafu hut, Millenium campsite, Mweka hutbefore ending at Mweka gate. Shira routeThe Shira route is partly similar to the Lemosho route differing only in the start point and the first campsite. With the shira route, climbers register with park authorities at Londorosi gate, same as Lemosho; However Shira route requires climbers to be driven further up the mountain and through National park's wildlife filled to a point much closer to their first campsite. 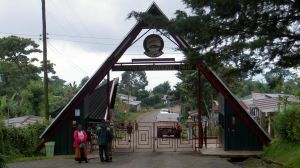 Rongai routeThe Rongai route is the only route that starts from the northern side of Kilimanjaro, near a border town called Rongai. 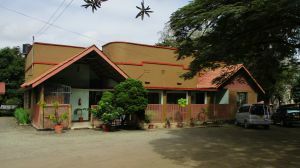 It is also the second longest after the Northern circuit route and also the most scenic route as it offers unique views of both sides of the mountain, namely the more dry north, the south along with some wildlife. The route starts at the remote Rongai gate, with most climbers there there via a chartered vehicle and spending almost half a day driving from Moshi to Marangu then Rongai. The Northern circuit routeThe is by far the longest and toughest route, ideal for those who want to explore all areas of Kilimanjaro. 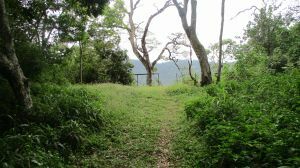 Like its name implies, the northern circuit route adds a circuit like path that takes you around the northern side of the mountain. 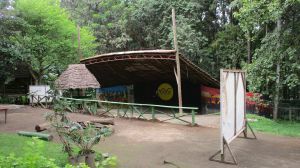 Due to its difficulty, the route is also seldom used, second only to the Rongai route and offers limited to no cabin accommodation in most of its camp sites. The route starts from the Londorosi gate, going through Lemosho gate, Mti mkubwa campsite, Shira 1 campsite, Shira 2 campsite, Lava tower campsite, Moir's hut campsite, Buffalo camp, Pofu camp, Third cave campsite, School hutsbefore finally reaching the summit - Uhuru peakthrough Gilman's pointand Stella point. From the peak, the route descends through Barafu hut, Millenium campsite, Mweka hut, finally ending at Mweka gate. Vegetation in Kilimanjaro national park The Kilimanjaro national park has vegetation that changes slowly as you move towards the peak. 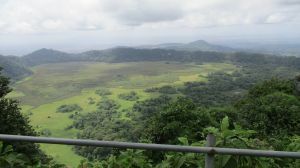 Starting with Savannah grasslands at the bottom where you can find big game, mainly in the northern and western sides of the mountain. As you move higher up the mountain you get to the rain forest or to be more specific - montane forest. This area receives large amounts of rain throughout the year and is characterised mainly by towering trees and little to no vegetation on the forest floor. It also has several rivers that run through it, bringing water down from the melting ice and snow at the peaks. These rivers contribute to the waters of several great rivers including the Pangani river and Nyumba ya mungu dam on it, that flows all the way to Tanga on the East African coast and ultimately the Indian ocean. In some places on the mountain, these rivers form beautiful water falls and plunge pools that add to the sights of the Kilimanjaro with two such place being near the start of the Marangu and Machame routes. At about 3000 metres above sea level, the trees begin to disappear, as the rain forest gives way to the heath region. For those trekking up the mountain, the first camps are usually located a short distance before the end of the rain forest. In the heath region, there are little to no trees growing, but mainly grassland, shrubs and rocks with the few that grow here being those adapted to less fertile soil and low temperatures. As you move higher up the mountain, the trees and grasslands disappear altogether until only scattered shrubs are all that is left, as the moorland begins. The presence of rocks however, increases, and they get larger as you move up the mountain. For those trekking up the mountain the moorland is also where the second (or even third in some cases) campsites are located - usually above 3500 m.a.m.s.l. From the damp highland that is the moorland, all vegetation disappears as you enter the alpine desert region. Starting from about 4500 metres above sea level, the alpine desert begins with few to no scrubs. Shortly after, the scrubs disappear as you move up the mountain, giving way to larger rocks, scree and volcanic dirt. Compared to the rest of the mountain, this area rarely receives rainfall and when it does drain, the water is quickly lost to the well drained soil that is present in the region. For this reason, water is scarce in these areas and when available (rarely), it usually is not drinkable. Most of the drinking water has to be brought up from the lower moorland region. By the time you reach the slopes of either either Kibo (a volcanic cone) or Mawenzi, the vegetation has completely disappeared. Even animals are hard to find here.  Do you have a tourism related business in Kilimanjaro or Tanzania in general? Contact us to list it on our website or create an account to be able to do it your self. Its free and always will be.